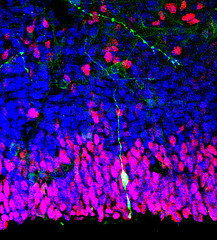 Since the dawn of real-life science fiction, stem cell researchers have been working to reprogram specialized adult cells back into pluripotent cells, which are capable of developing into any cell or tissue type. Combined, these two transformations have huge medical implications, but the processes are still imperfect to this day. Scientists from Boston Children’s Hospital, the Wyss Institute at Harvard University and Boston University have furthered the potential of cell engineering and regenerative medicine with CellNet, their new computational platform. CellNet quantifies how closely engineered cells match their target cell type identity as well as offers suggestions for improvements. Do this, don’t do that and try this route. It’s faster. By comparing the GRN of an engineered cell to the network of its counterpart in the body, CellNet can report how closely they match. It then provides a ranked list of transcription factors that will likely bring the engineered cell closer to its target destination. Recently, CellNet also showed that it could reveal unknown properties of engineered cells. For example, previous lab publications have claimed successful cell conversion into induced hepatocytes, or liver cells. While analyzing this claim via CellNet, scientists discovered that those particular cells had minimal liver identity and were predisposed to the intestine. In response, the researchers introduced CellNet’s suggested transcription factors, which enhanced intestinal identity. They then accomplished long-term functional engraftment into mouse colon. While its creators are still working to improve and expand its capabilities, the creation of CellNet marks an important advancement in medical research and technology. The ability to manufacture different types of tissue would allow scientists to better model diseases and discover new drugs and treatments. With such an instructional tool, you could say it’s the beginning of perfection.